I grew up in a tropical climate so exotic fruits such as mango, guava, tamarind, passion fruit, etc. are ingrained loves from an early age. It is no wonder I naturally gravitate towards ethnic foods with tropical flavors. On my recent foodie tour to find ceviche, I found other tropical goodies in Louisville that reminded me of home. 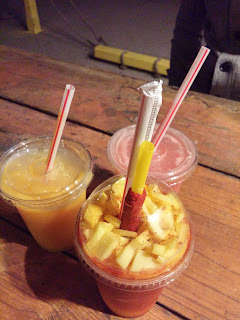 One drink in particular stands out as uniquely tropical, the Mangonada (also known as Chamango). 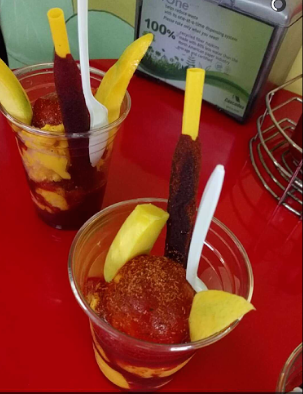 Mangonada is a popular Mexican drink made with fresh mangos, lime juice, ice, chamoy sauce, lime chili powder, and tamarind straw. Think of it as a very tropical American slushy. If your taste preference leans towards salty, sour and sweet, this is a great summer treat for you. I can’t say I’m a big fan yet, but I do like the combination of tropical flavors, in small doses. 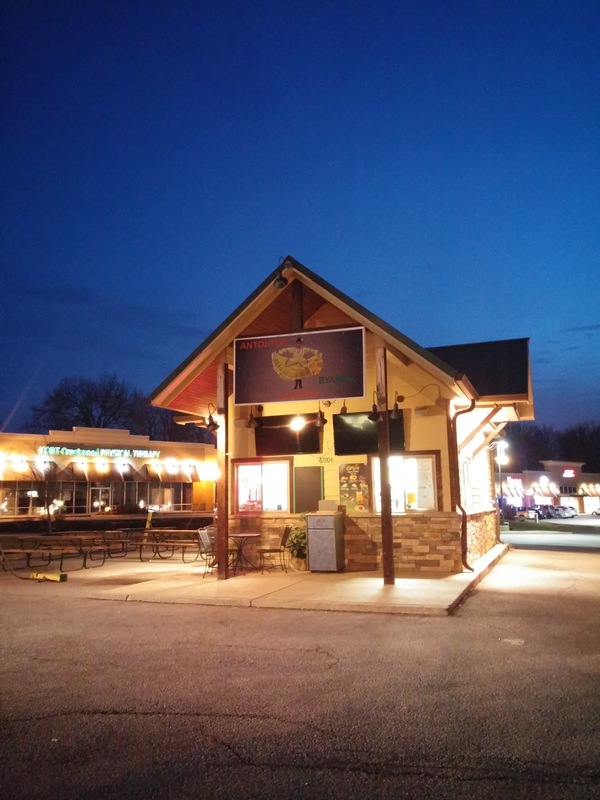 Here are three places in town where you can find them and other fun treats there. Best news for the budget conscious foodies, these drinks are all less than $4! 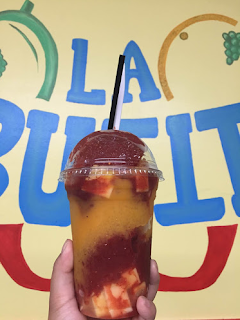 The mangonada here is more like an ice slushy, with bold salty and sweet flavors combined with large mango chunks. I liked it but could not finish the cup, I suggest sharing with a friend or two on your first try to see if you’ll like it first. A friend recommended the mangonada suprema and I'll have to give this a try on my next visit. 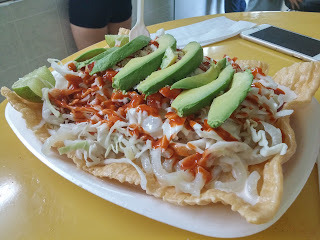 If mangonada is not your thing, there are a lot of other sweet treats and drinks, Mexican snacks, ice creams, fruit cocktails, etc. on the menu. English is spoken at a minimal here, so use your finger and the photos on the wall as your guide. Once you grab your dessert/drink, exit the store and take a left. 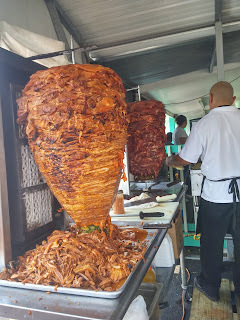 Here you’ll find fresh tacos to go with your drinks for around $2/each (I usually see this on the weekends). Can’t get it any fresher! 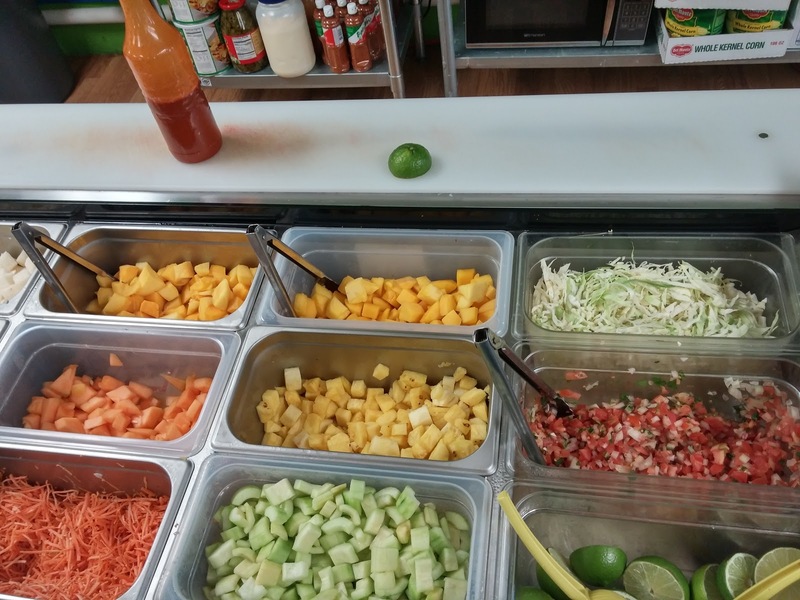 Come outside for fresh tacos. 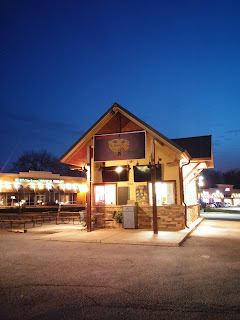 Panchito’s has two successful locations in Lexington and just two more locations in Louisville. Small but clean and friendly, it’s the perfect place to drop by for some cool treats and snacks. 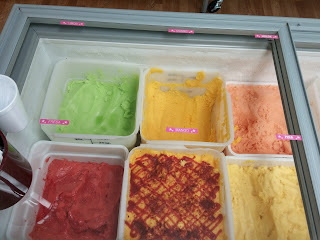 All the ice cream are made in house. 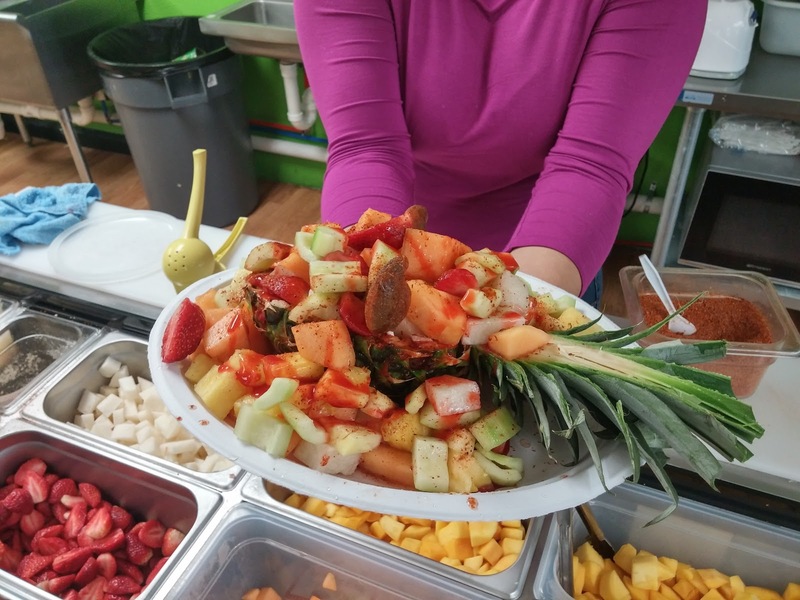 You can find traditional flavors like mango, strawberry, and lemon, but it’s more fun trying tropical choices like the guava (guayaba), nanche, mango with chili powder and the soursop (guanabana). I got the pina loca on my first visit, it’s a tropical monstrosity that includes lots of fruit chunks, chimoy sauce, chili powder topped with ice cream. My advice, skip the pina loca and grab the guanabana ice cream. 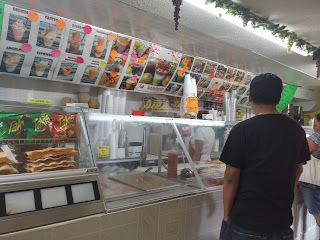 My favorite here are the paletas or popsicles, you can choose from a variety of tropical flavors, either water or cream base. Homemade ice cream with lots of tropical flavors. 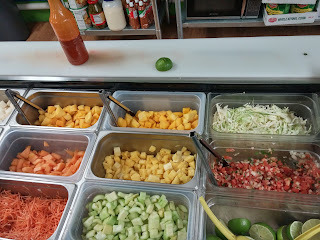 Toppings for various snacks and fruit cocktails. Friendly owner making us food! A little bit further of a drive but it’s my favorite find because everything here is delicious! 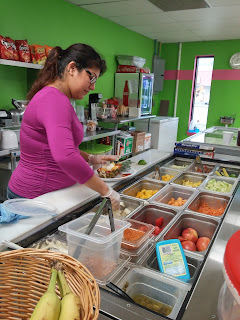 This fast food stand has outside seating and offer favorites like burritos, tacos, gorditas, quesadillas, and ceviches (read about it on my previous post). Choose from a variety of tropical batidos (shakes), aqua frescas (flavored water), and mangonada. The esquite is my favorite here, it’s elote in a cup (corn, mayonnaise, cotija cheese, lime juice and chili powder). 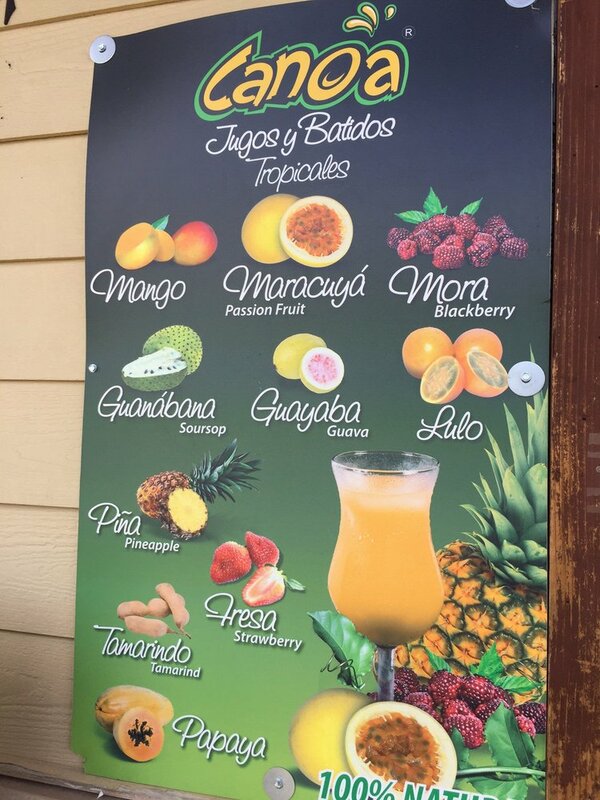 I enjoyed the mangonada here a lot better and my husband and our friend loved the fresh batidos. They plan on having paletas (ice cream bars) in a month and I can't wait! I'm sure I'm still missing a lot, if you have a favorite place, I would love to hear it! 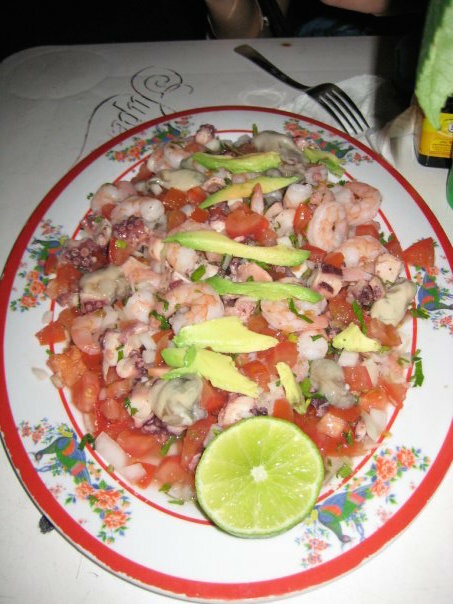 The summer of 2007 was full of heartache and uncertainty but it was also the summer that I discovered a new culinary love, ceviche (also spelled seviche, cebiche). Like all first loves, I still remember the precise moment when I first took a bite of this tangy and refreshing seafood dish. 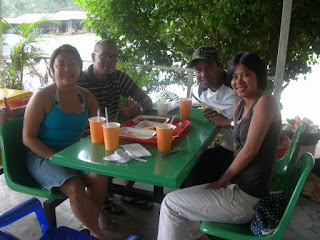 I was in a month long summer program in Panama (the country), on the way to spend a day at the beach with my host friends. We stopped by the local super market to pick up some essentials: utensils, drinks, and snacks. 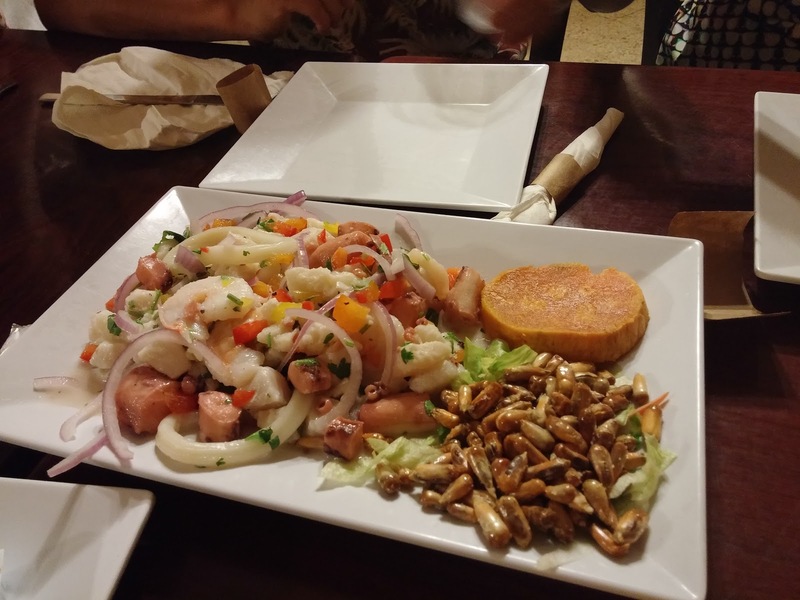 All my Panamanian friends agreed that ceviche had to be on that list. I never heard of this dish before and was immediately intrigue. We proceeded to the fridge and grab a clear container with small white fish chunks marinade in lime sauce, mixed with chopped cilantro and sweet white onions. Not too long later, we were sitting at a local beach, crackers in hand scooping out chunks of fish. First bite and I was in love. The raw corvina (sea bass) having cooked in lime juice for hours became an opaque white. 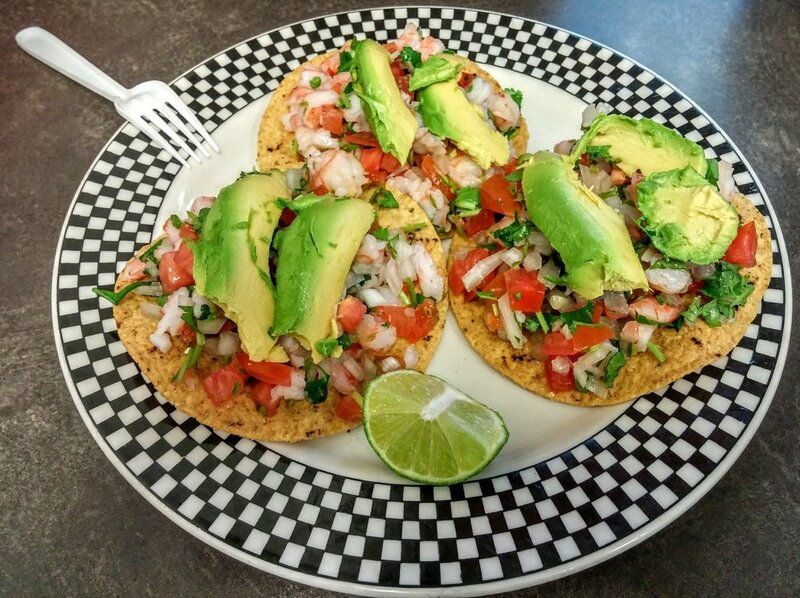 The natural sweetness of the fish and onions, the lightly salted tanginess of the lime juice, the fragrance of the cilantro all came together in harmony, creating a simple yet delicious seafood dish. My love affair with ceviche started that day, continued on the rest of that summer and all the summers after. As you can see below, I ate A LOT of ceviche. 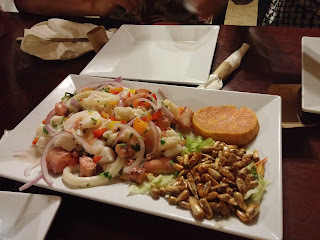 There are a lot of ceviche varieties - Peruvian ceviche in Panama. Mixed ceviche in Mexico. 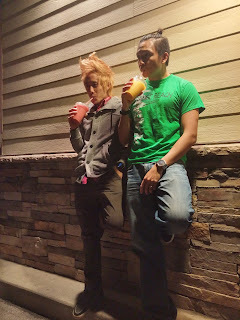 Photo: Vy. 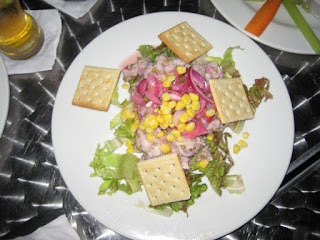 I'm a long way from the beach and Panama, but because of my love for this dish, my eyes automatically scan the menu every time I'm in a South American restaurant. Luckily, there are plenty of places in Louisville to look for ceviche. On the upscale side: Seviche on Bardstown Road offers 4 types of ceviche ($15 - $19), Mayan Cafe has scallop ceviche ($12), Mojitos menu includes shrimp ceviche ($8), Guaca Mole's sampler consists of three types ($15), and Havana Rumba has a mixed seafood ceviche del dia ($8.50). And yup, I've tried them all, except for the scallop. While good, they are on the small and expensive side. 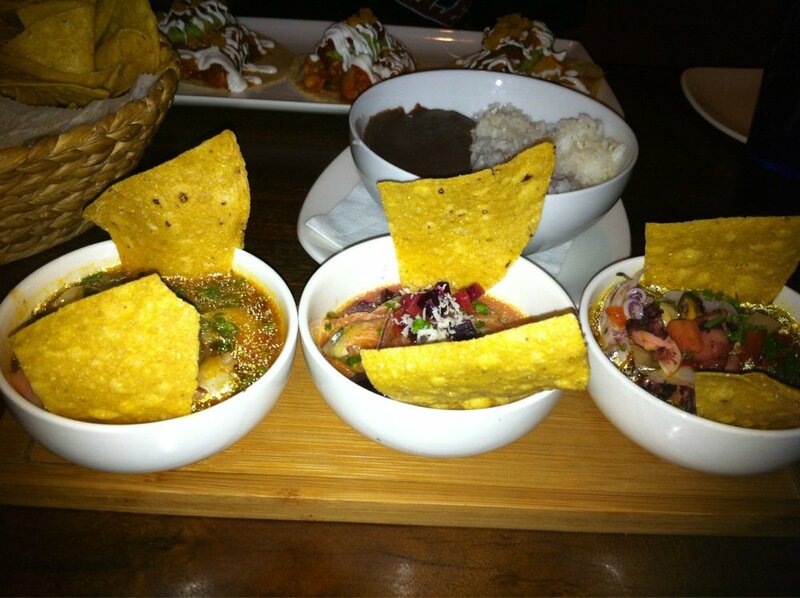 My favorite of these is the sampler from Guaca Mole. 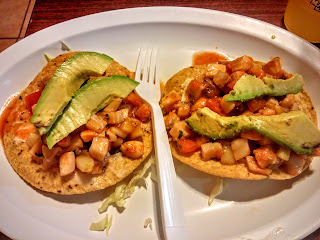 My ceviche taste runs on the casual and cheap so I've been on a mission to find ceviche that are friendlier to my budget and closer to my beach side experience. Below are a few of my finds last month and other places I plan to try in the future. Have a favorite ceviche place? Let me know, you know I'll be there! 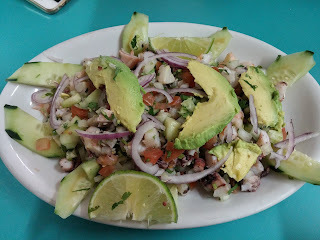 The mixed ceviche here is huge and costs around $12, a bargain for what you get. They used catfish instead, which did not work very well. I would recommend this restaurant for the other delicious seafood items on the menu. The camarones a la diabla was spicy and full of flavors. This ceviche is the perfect combination of freshness and crunch. We ordered an extra portion after finishing the first. It's $3.99/each. Other items on the menu are delicious, we tore up our fried fish! 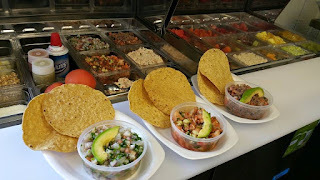 This little food stand in Crestwood offers shrimp ceviche, shrimp cocktail and beef ceviche. It was so good I guiltily drank the lime juice after the shrimp were all gone. 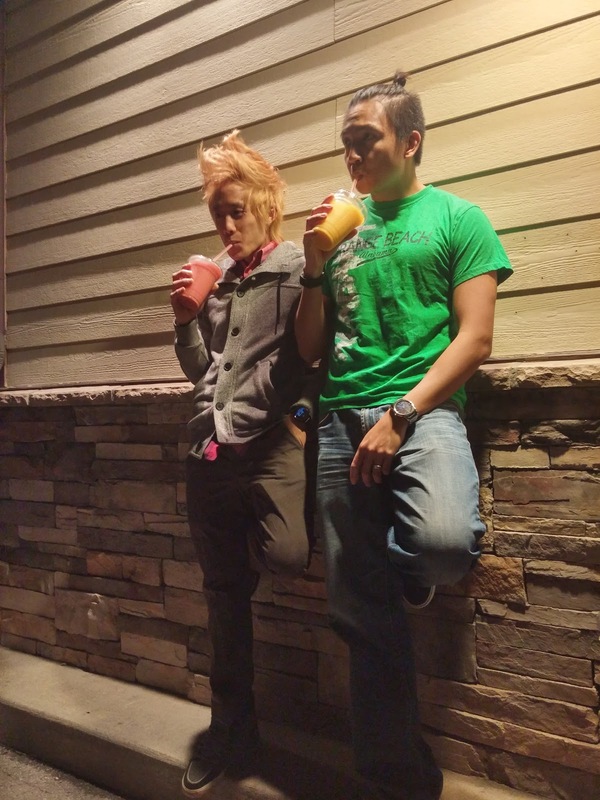 I'm already planning to come back to try their large selection of tropical drinks, shakes, ice cream and tacos. 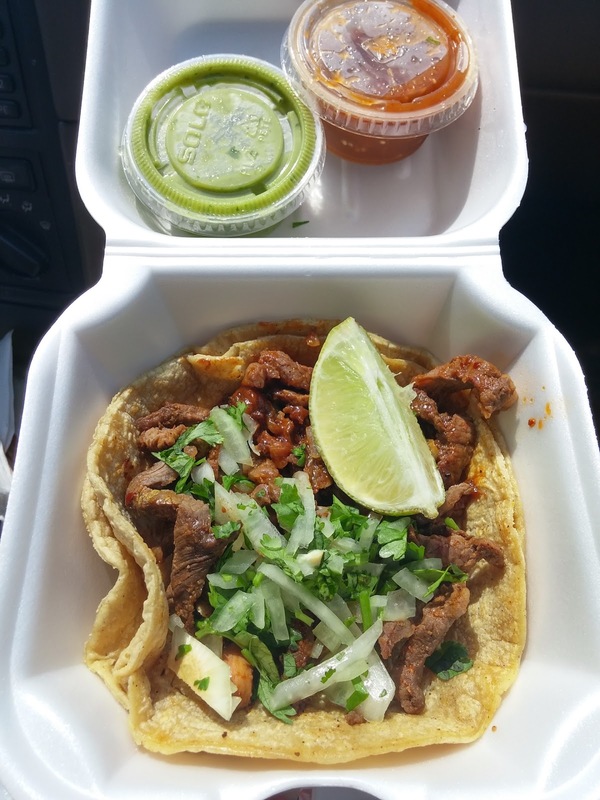 This taco truck has reasonably priced food items and popular with the crowd. The crab ceviche has great flavor but since it's imitation, its taste didn't wow. Get the shrimp. You'll have to walk through this super market to get to the restaurant in the back (in the same shopping center as Las Gorditas). 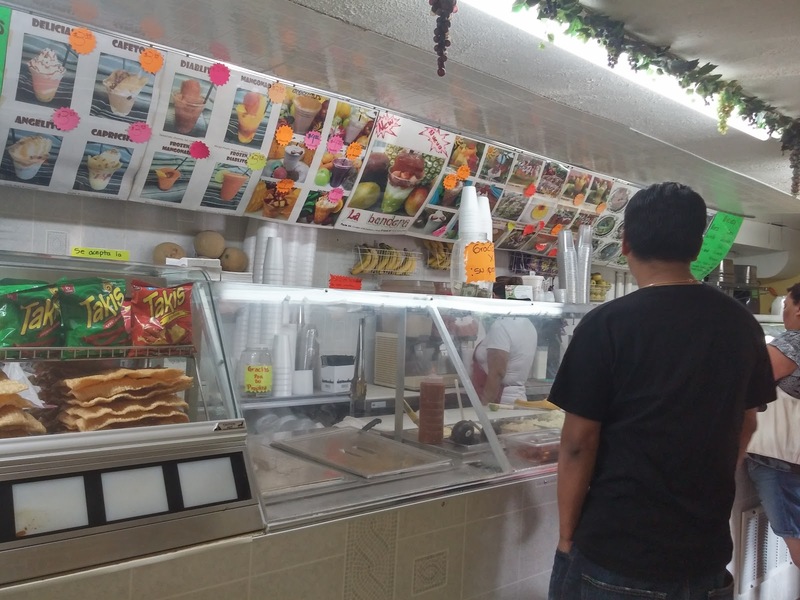 The tacos are cheap at $2/each and the burritos are big. 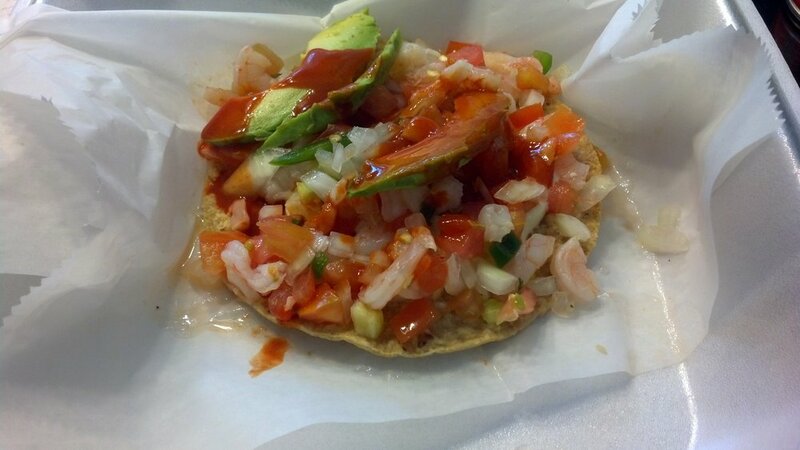 I really like the tilapia ceviche tostada, fragrance and delicious. For added spice, use the hot sauce on the table.